Nassau, Bahamas – A male Correction Officer from the Bahamas Department of Corrections along with an adult woman is in custody after they were arrested for possession of dangerous drugs on Sunday 13th March 2016. Preliminary reports are, that shortly after 4:30pm, Drug Enforcement Unit Officers took the two suspects into custody after a quantity of marijuana was found in their possession. 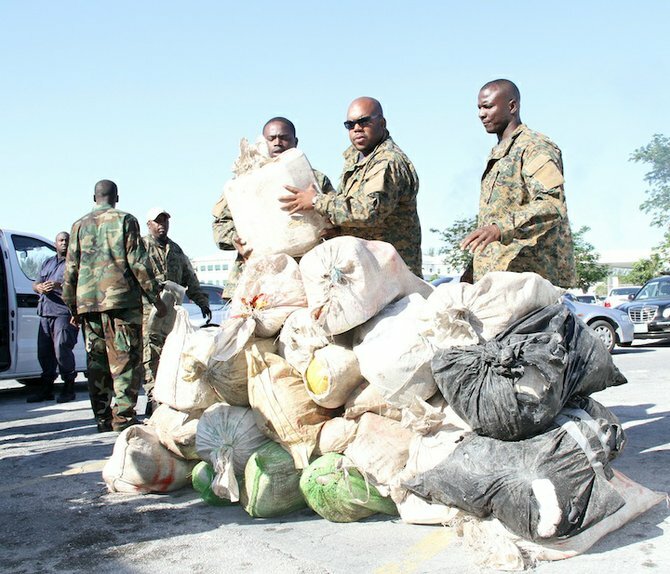 Also reports are that around 5:00pm on Sunday 13th March 2016, officers from the Eleuthera Division executed a search warrant on a home located in Palmetto Point, where they uncovered quantity of marijuana. An adult male and an adult female were taken into custody in connection with this discovery.